Two pastors from Sheffield are running new bushcraft courses, taking place in privately owned woodland on the edge of the Peak District. 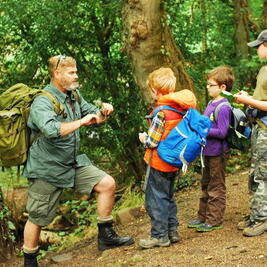 The idea is to teach people basic survival skills in the wild. Andy and Heidi Tiplady head up Bushfire Ministries in Sheffield. Andy Kershaw went to the woods to meet them and their home-educated son, Joshua. Andy told our Andy about his own Journey of Faith. As broadcast on BBC Radio Sheffield's Early Sunday Breakfast Show, Sunday 16th July 2017.